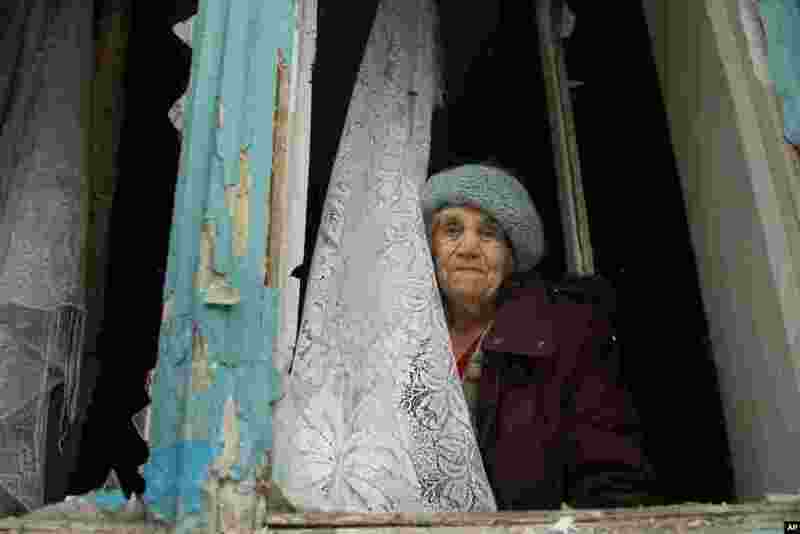 1 An elderly woman looks from her damaged apartment after artillery shook Donetsk, eastern Ukraine. Heavy shelling hit both government- and rebel-controlled areas of eastern Ukraine as fighting continued Friday. 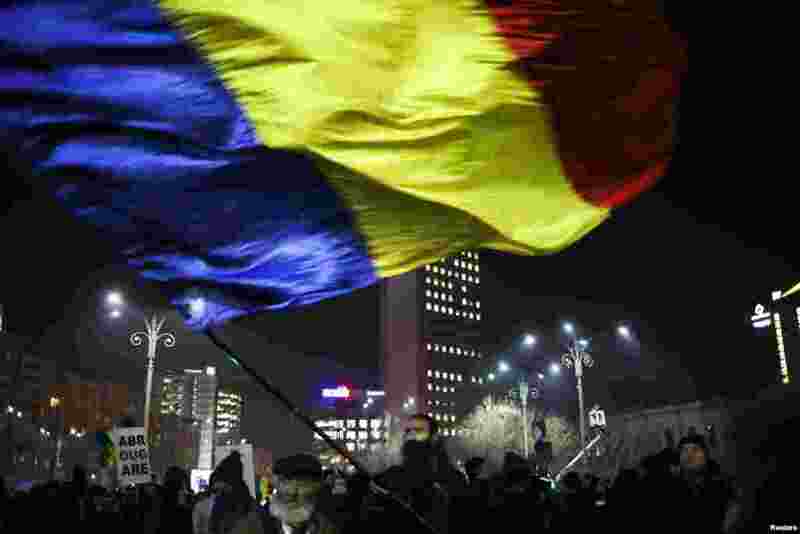 2 A protester waves a large Romanian national flag during a demonstration in Bucharest, Romania. 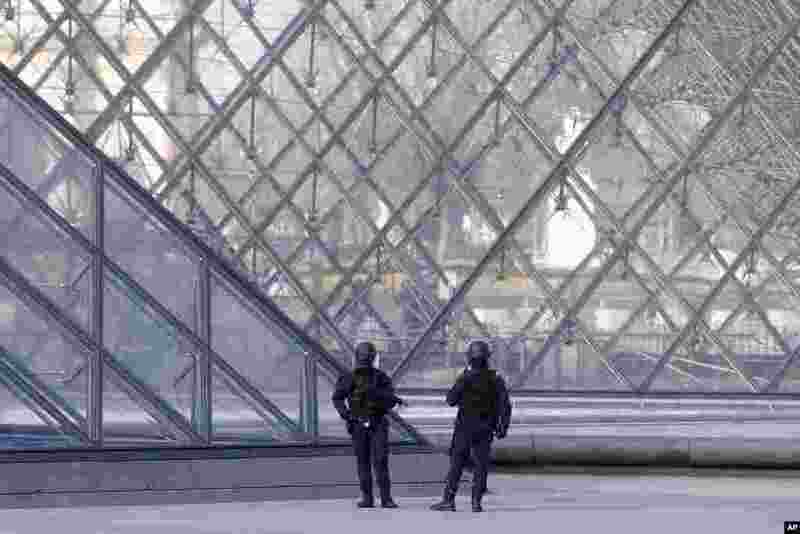 3 Police officers patrol at the pyramid outside the Louvre museum in Paris, after a knife-wielding man shouting "Allahu akbar'' attacked French soldiers in the area. 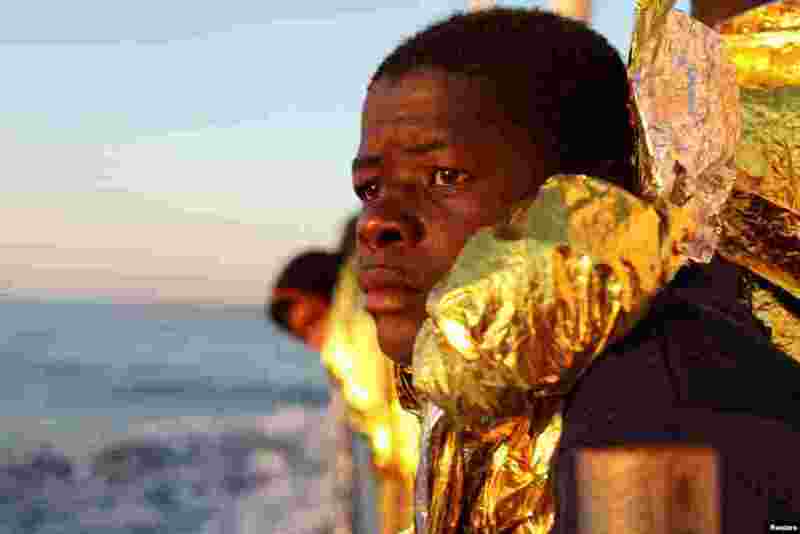 4 A migrant, covered with a thermal blanket, gazes at the sea following a rescue operation near the coast of Libya in the central Mediterranean Sea.